Sometimes as a mom, I get overwhelmed with all I should be doing for my kids’ spiritual development. I should be reading the Bible with my kids, teaching them Scripture, training them on character qualities, helping them understand prayer. The list goes on and on. Equally important are my prayers FOR my kids … but when I start considering all I should be praying for, this list is even longer than the first! Pray your children will always lift their heads to look to the Lord, and when they’re too hurt or discouraged, pray they’ll allow God to lift their heads. Pray your children will learn to let God carry their burdens. Pray your children will get on their knees before God often. Pray your kids will be connected to a community of believers who will keep them on their toes. If you like this list, share it with a friend. Can you see all of us around the world praying for our children as we sing “Head, shoulders, knees and toes, knees and toes…”? 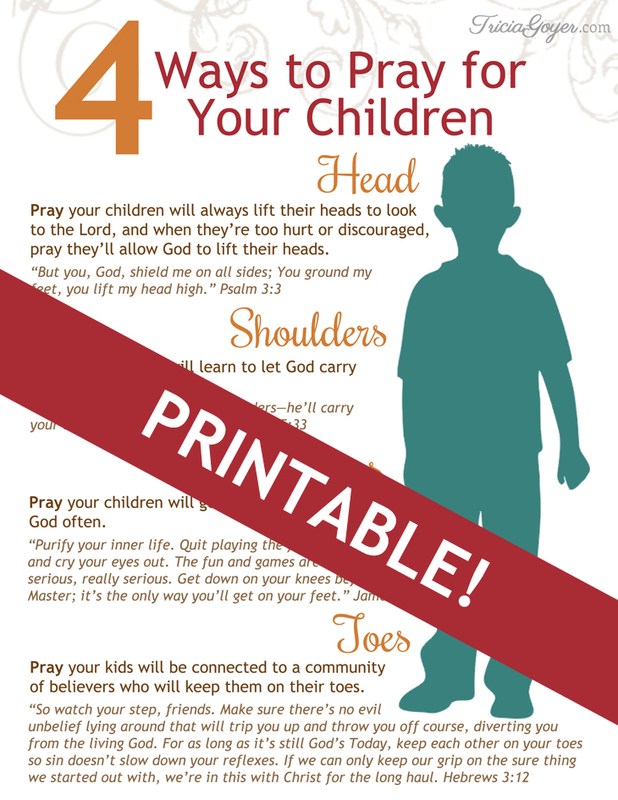 Click here to download and print this PDF to remind yourself how to pray for your children! Now what about you? 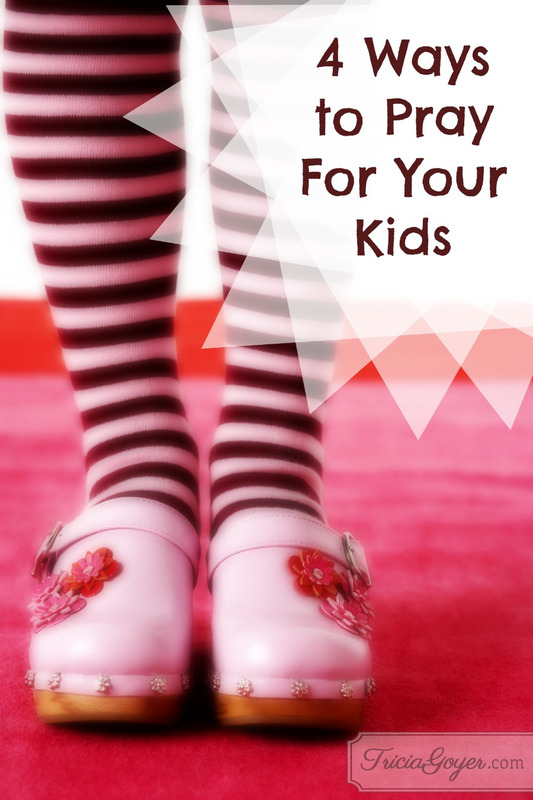 How do you pray for your kids? I have a few books on sale right now! Generation NeXt Marriage is $2.99. You can also get my four World War II novels in the Liberators Series for $13.99. Are you new here? You might want to subscribe to my email updates, or follow me on Facebook, Twitter, Pinterest, Google+, or Instagram. OK , did you give up tweets ? Going to share there even though you have no links now for that. Linda, there is a “click to tweet” right above the question. I love this! I will never sing that song again without praying these things. Thanks for sharing this at Booknificent Thursday! Always love having you there! So glad that this will lead you to prayer, friend! Hi Tricia! This post just showed up in my pinterest newsfeed and I’m so glad I clicked! What a clever and thoughtful place to start. I love these prayers Sharing!